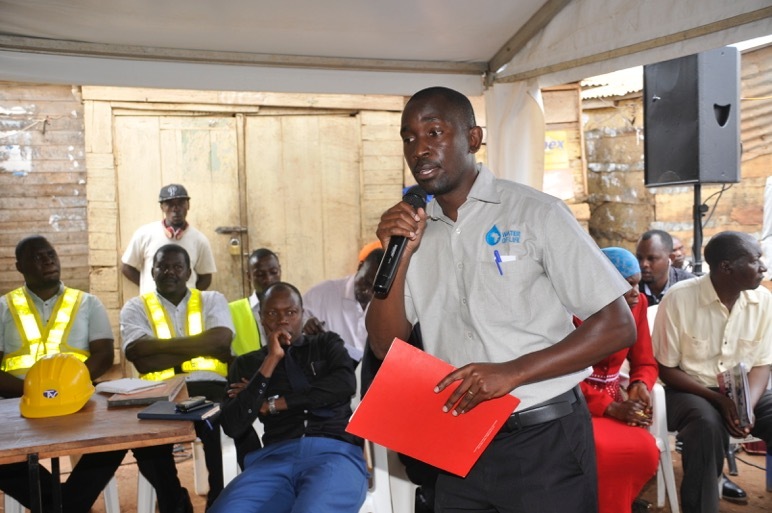 Uganda Breweries Limited has today launched a sanitation project that will see the brewery construct public sanitation facilities for the residents and traders of Port Bell and Kirombe areas in Nakawa Division. The 3 months project which is part of UBL’s “Water of Life” initiative will cost UGX 300 Million. The project will not only reduce water pollution in the area but also decrease the rampant hygiene related disease outbreaks amongst the residents, traders and fishermen of port bell and Kirombe villages. 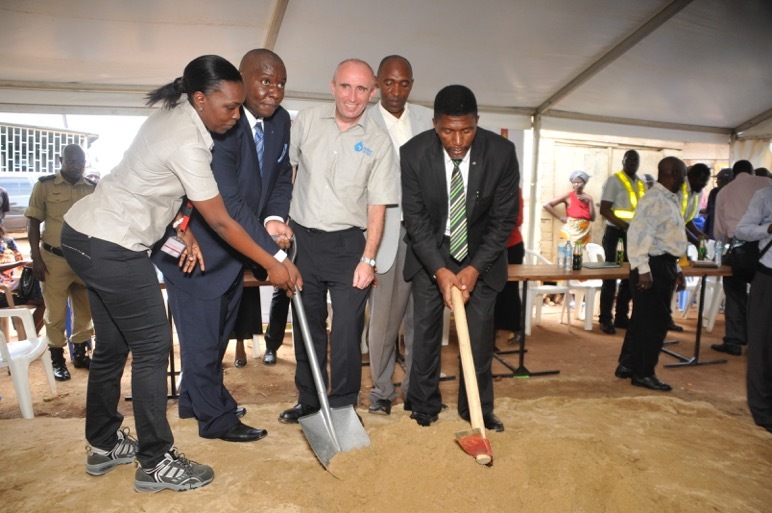 Officiating at the ground breaking ceremony at Port bell landing site, Diageo’s- the UK based parent company for Uganda Breweries; Global Director for Sustainable Development, David Croft reaffirmed the company’s commitment to improving the livelihoods of the communities Diageo and all its subsidiaries operate in. “We believe our businesses are at the very heart of the communities in which we work, and we have a responsibility to create shared value – for our shareholders, our people who work so hard to make our business successful, and for the wider society that enables our business to flourish and grow.” David Croft said. Uganda Breweries has done similar projects at Busia- Sofia market, Kinawatuka slum and at Gaba Landing site projects that were completed in 2014. Also in the same year, the company constructed a fish cleansing slub for the Luzira Fishing community at the port. Similar to before, each modern facility to be constructed will be comprised of: 4 urinals for men, 2 male toilets, 1 bathroom, and 1 male seat-toilet for disabled persons, 2 female toilets, 1 bathroom and 1 female seat-toilet for disabled persons with over 15,000 beneficiaries. According to UBL’s Corporate Relations Director, Charity Kiyemba, Despite UBL having done several and bigger community projects across the country, the company has always felt indebted that none of them have been this close to home. “They say Charity begins at home, today we are so proud that we are doing something significant for this community with whom we share a history that spans over 70 Years. The population in the area has increased significantly over the years. 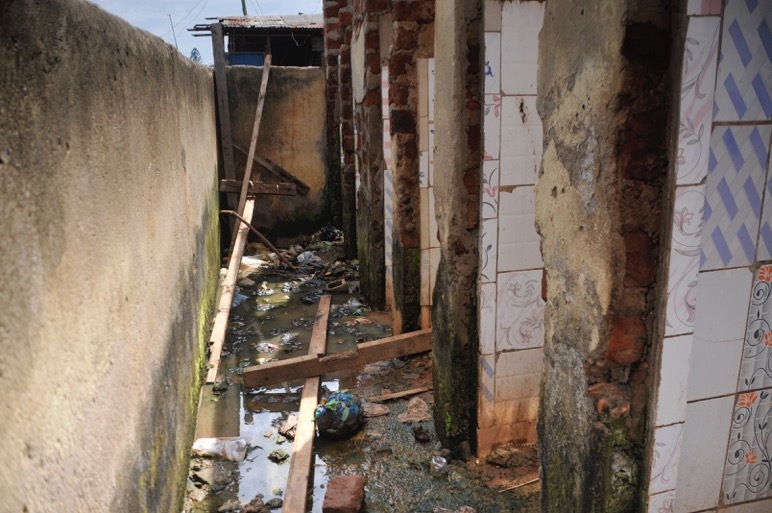 However, this area has poor sanitary conditions as the only public toilet in the area was destroyed in 2008 and the community has gone without any since then. “We hope that this intervention will help address the challenges that the residents and the surrounding community have been facing,” Charity said. Charity further noted that the brewery had planned to construct toilet blocks for the community earlier on but the community couldn’t identify and avail suitable land to house the units until now. The guest of honor at the ground breaking, Ronald Balimwezo Nsubuga the Mayor Nakawa Division commended Uganda Breweries for the initiative of protecting and improving the health of Ugandans. He noted that new facilities will lead to improvement in the working conditions of the community at both Port bell and Kirombe. Charity also reassured the guests that Uganda breweries will continue to invest in the communities as this was embedded in the Business’ strategy.